When reading a news article or listening to a news podcast, how do you decide what to believe? Do you take everything at face value? Do you fact-check? The answer differs for each individual. It also differs based on who is reporting the news. But what happens when something written for artistic purposes is reported as news? The answer: the “Retraction” on This American Life of Mike Daisey’s story on Foxconn. So it turns out Mike Daisey exaggerated or just plain made stuff up about his trip to China in The Agony and the Ecstasy of Steve Jobs. 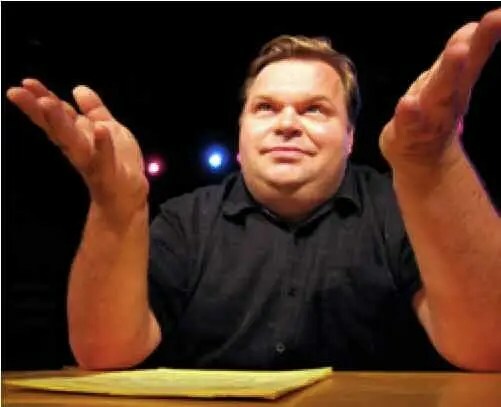 Starting from giving bad contact information for his translator, Mike Daisey’s lies spiral out of control as he enjoyed the benefits of the press for his show to speak on the issues he portrays. Daisey is eventually brought back to face his lies through the wrath of Ira Glass, who reveals many of the issues we heard about in his monologue, and previous broadcast, to be completely false: no N-Hexane scandal (that Daisey directly saw), no overwhelming numbers of underage laborers, and the old man was completely made up to be “like a movie” according to his translator.